With a crock pot, you can make more than just soup. In actuality, it can be used to make full blown entrees. If time isn’t on your side and you want to have several meals for the week, using a crock pot can lessen the burden of getting food on the table. Consider how much time you want to allot to cooking. Lower settings tend to take 8-10 hours for completion while a higher setting will take 4-6 hours. Slow cooker’s aren’t as “picky” about the type of meat–using less expensive meats, such as pork or lamb shoulder will still taste great, without breaking the bank. Increasing the amount of vegetables in the slow cooker be more nutritious as well. 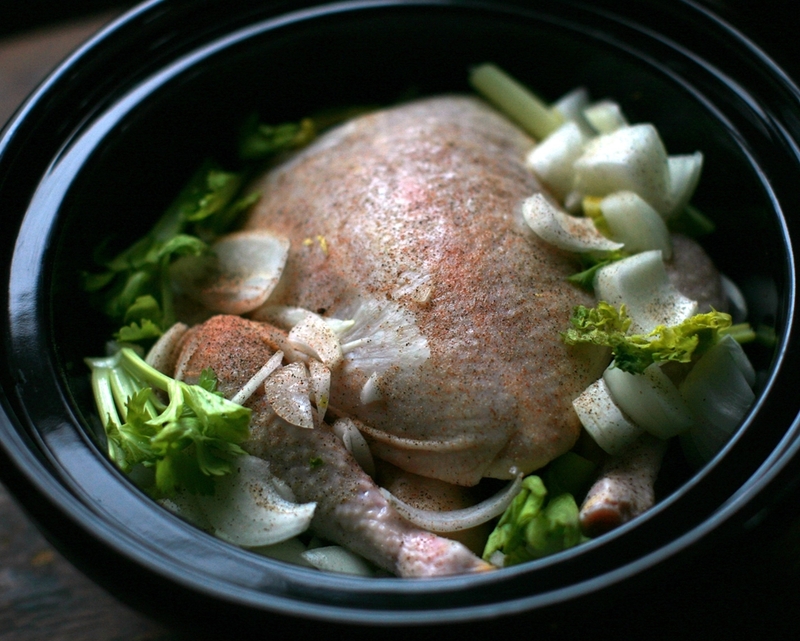 To prevent oil accumulation in the slow cooker, trim the fat from meat before putting in the slow cooker. Less is more when it comes to adding liquid. You don’t have to worry about thickening the food or making sure there’s enough “sauce” if you’re adapting from a standard recipe. If you’re adapting a recipe for a slow cooker, use a 1/3 of the suggested amount of liquid for slow cooker as the liquid won’t evaporate. Do you currently have a crock pot in storage? Why not pull it out and throw some ingredients in the morning and come home to a deliciously made meal for dinner? I know using the crock pot will make my life easier, while not having to rely on Ramen on a daily basis. There’s tons of recipes on line that can provide guidance on how to prepare a great meal. This weekend I’m going to put pork chops in the slow cooker and have it all ready to eat for the upcoming week.